The EGC Group is fully immersed in the beer industry with 21 years' experience in craft beverage marketing. We understand the complex and rapidly changing global market. Whether you’re an established brand or a start-up brewery, and looking for strategic help or a brand refresh – we can craft a unique, affordable package for you. 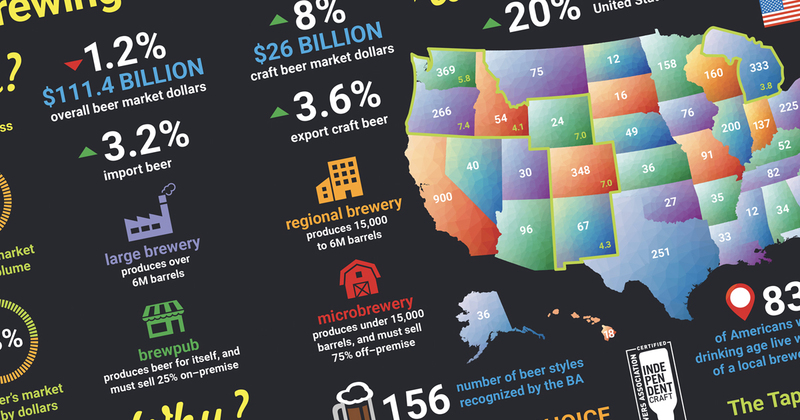 Check-out EGC Craft Beverage’s latest infographic and quickly learn the Who, What, Where, and When of the beer industry. It’s a tall pour of the most up-to-date stats defining our fast-changing industry. we help you sell it.